Prominent Afenifere leaders appear unrelenting in their latest war of words. Senator Femi Okurounmu had fired the first shot penultimate Saturday when he accused the former governor of Ogun State, Chief Olusegun Osoba, of brokering the ill-fated alliance between former President Olusegun Obasanjo and the then Alliance for Democracy (AD) governors in the South West. The pact was supposed to be reciprocal with the AD governors mobilizing support for Obasanjo’s reelection bid in 2003 and Obasanjo also ensuring that the governors were returned for a second term in office. However, the alliance failed, as Obasanjo allegedly betrayed the governors who were all voted out with the exception of the then Lagos State governor, Asiwaju Bola Ahmed Tinubu. Until Okurounmu spoke out, the general impression many had was that it was Afenifere leaders that brokered the botched alliance. But Osoba, while reacting to Okurounmu’s allegations in an interview with SATURDAY SUN blasted the Afenifere leader who he described as a serial blackmailer. 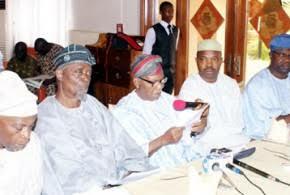 Insisting that he was not the one that brokered the alliance, the former Ogun State governor said he was never close to Obasanjo, adding that Afenifere leaders including late Pa Abraham Adesanya, Sir Olanihun Ajayi and others were privy to the discussion between the AD governors and the former President during the build-up to the 2003 general elections. Describing Okurounmu as Obasanjo’s close pal, Osoba said the former Senator was at the forefront of the fight against the former Speaker, House of Representatives, Hon. Ghali Nabba and other lawmakers when House members wanted to impeach Obasanjo in 2002. He further challenged Okurounmu to provide evidence, if he has any to prove that he lobbied Afenifere leaders to support Obasanjo or enter into any alliance with the former president to ensure he gained foothold in the South West. He accused Okurounmu of trying to destroy his name on several occasions, and that he has a penchant for making unguarded statements. “People should not take Okurounmu serious. That is his character. He is very good in character assassination. I will not be the first person that will be his victim, he has been doing so to others. It is this kind of character that he has been exhibiting that destroyed his relationship with the Onabanjo family, I mean late Chief Bisi Onabanjo former civilian governor of Ogun State. Is Okurounmu welcomed in Onabanjo’s house today? It is the same with late Chief Bola Ige’s family. People should ask Okurounmu what is the relationship between him and Bola Ige’s family today? Okurounmu is a blackmailer that should be ignored,” he declared. However, when taken up on Osoba’s reply to his allegations and accusations, Okurounmu insisted that he stood by his allegations against Osoba. He, however, refused to provide facts to back up his allegation as challenged by Osoba. “For now, I have no further comments. But I stand by my allegations against Osoba, and luckily that day when we met at Ambassador Walter Carrington’s programme and he challenged me, I reaffirmed my position and I was supported by Chief Ayo Adebanjo who confirmed that everything I said about Osoba regarding that alliance between Obasanjo and former AD governors was right. What else do you want me to say? For now, I’m not replying Osoba,” he said. Enter your comment...This is a bad way to be old. There are issues in 2017 and we need ideas to drive us forward, yet these men are concerned about 2003. If they think they have offended anybody, it is this go-back that is the offence. We have moved on and moving on.